Amazon isn't letting Google run away with the bargain-priced tablet market just yet. 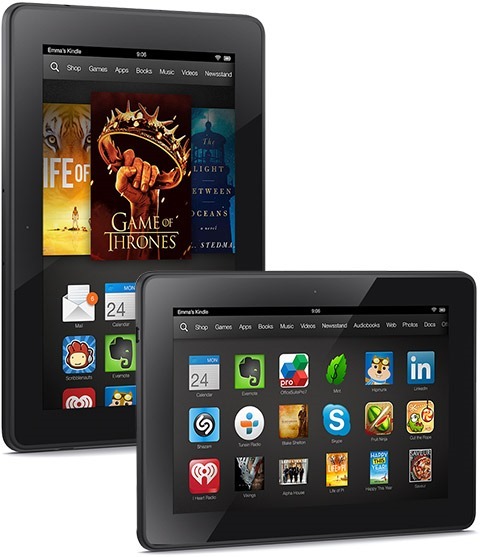 It's offering $50 discounts on the Kindle Fire HD and Fire HDX 7 for Cyber Monday. That means you've got to jump on it soon to secure the deal. 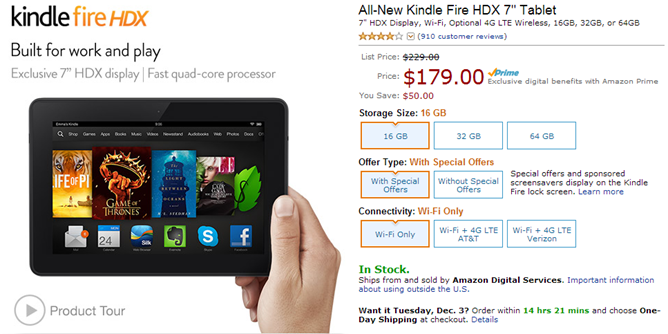 The Fire HD is the tweaked version of last year's Fire with a dual-core 1.5GHz ARM chip and a 1280x800 resolution LCD. The 16GB version of this device usually sells for $169, but today it's $119. That's $50 off, and it makes the 16GB version cheaper than the 8GB. If you want to step it up a bit, the HDX 7 is running a Snapdragon 800 quad-core chip and a 1920x1200 LCD. It's down from $229 to $179 for the 16GB model (also $50 off). Both devices are running the newest version of Amazon's Android-based Fire OS with all the products and services the retailer offers built-in – there are no Google apps. These are also the "with special offers" prices. 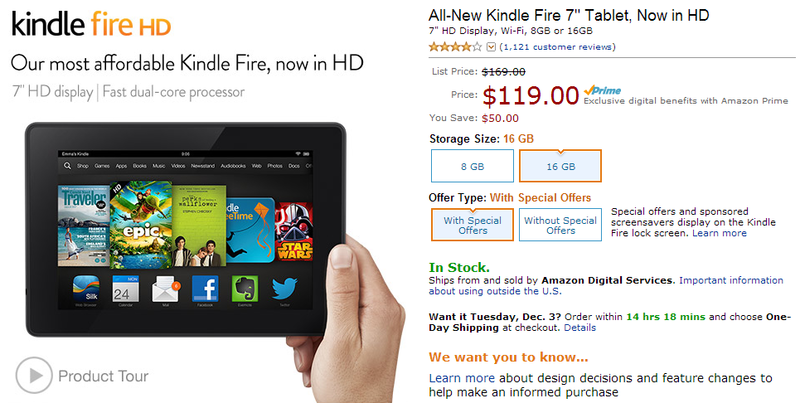 If you want your Kindle Fire without product suggestions/ads, it will cost you $15 more.